Could New Regulations Address Dangerous Chemicals in Cosmetics? Cosmetics and skin care products are some of the most widely purchased products within the United States. Consumers spend as much as $50 billion every single year on beauty products. Unfortunately, it turns out that some of the skin care and cosmetic products on the market could actually contain chemicals that are very harmful to health. Although the skin care and cosmetics market are largely unregulated, manufacturers still have basic obligations to make sure their products are reasonably safe and to provide warnings about risks to users. Cosmetics manufacturers who fail to test products for safety and alert customers to dangers may find themselves being sued if products make people sick. Even the threat of litigation, however, does not appear to deter manufacturers from continuing to sell products that could cause harm. Now, lawmakers are finally considering taking legal action aimed at protecting people from the risks of their skin care and beauty products. CBS News reports a bipartisan group of lawmakers is pushing to increase the power of the Food and Drug Administration to regulate skin care products. One of the leaders of the effort to reform the cosmetics market, Senator Dianne Feinstein, believes a change to current rules is necessary because: “Our laws should provide for adequate testing of chemicals before they go into widely used products.” The need for effective laws is especially important because teenagers are heavy users of skincare and cosmetics products, and their developing bodies may be at even greater risk of harm due to chemicals in cosmetics. Examples of chemicals which are cause for concern, and which are commonly found in cosmetics, include formaldehyde (used in nail polish, hair straighteners, and a wide variety of other common items), propylparaben, and lead acetate. These chemicals are known to cause cancer and other illnesses in other contexts. 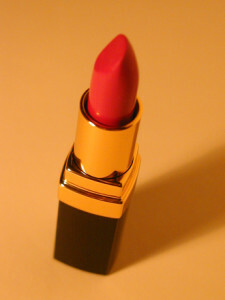 Under the current rules, there is little information about the impact the chemicals are having on cosmetics users. The new law would give FDA the authority to test whether chemicals in common cosmetics products are limited to safe levels or whether there is too much of these dangerous chemicals. If the skin care and beauty items are found to contain dangerous levels of chemicals, FDA would be able to force a recall of products. When products are recalled, not only are unsafe items removed from shelves, but notice of the recall also alerts users of the products that they have been exposed to something potentially dangerous. Illnesses like cancer are often difficult to trace back to a particular cause, and many people who use cosmetics may suffer from various ailments but may be unaware of the fact their beauty products could be the cause of their health issues. When consumers are notified of a recall, they can determine if any health problems they are experiencing were caused by the product. If the consumer can prove causation, the consumer may be able to get help from a Boston defective products lawyer to pursue a case to get compensation for illnesses resulting from the cosmetic treatments.